If you own Huawei Watch, please do leave your feedback too. Huawei is the latest manufacturer to join the Android Wear band wagon and it did so after making the Nexus 6P Android smartphone. The Huawei Watch is among the few Android smartwatch makers to have a circular display. 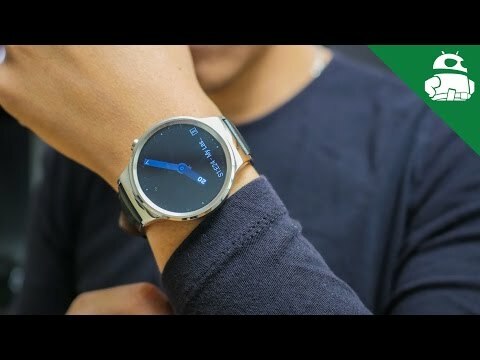 The Huawei Watch is also the first Android Wear device to have a full circular display without a The features of the Huawei Watch are as follows. The Huawei Watch has a 1.4 inch Full Circular AMOLED display with a resolution of 400 x 400 pixels which is brilliant for a smartwatch this size, a pixel density of 286PPI. The case of the watch measures 42mm and is made of cold forged Stainless Steel. The display is protected by Sapphire Crystal which is the first for any Android Wear device. The processor is a Snapdragon 400 chip clocked at 1.2 GHz which is similar to other Android Smartwatches in the market. The watch has 512MB of RAM which is similar to other products and enough for running Android Wear flawlessly. 4GB of storage is present on the watch that can be used to store music. The watch has Wi-Fi connectivity in addition to the bluetooth functionality on Android Wear. A heart rate sensor sits at the back of the watch that can measure pulse from the users wrist. This smartwatch is IP67 rated and is dust and water resistant. The watch comes with a circular dock which has pogo pins for charging, the dock has a standard microUSB port. The smaller 1.4 inch case has restricted the battery size to just 300mAh but Huawei claims a battery life of 2 days with this smartwatch. Running on the latest Android Wear, this device is compatible with Android 4.3+ phones and supports iOS 8.2+ devices.